I love Robinsons Magnolia! It is like my second home. I was saddened when I saw that some of my most frequented restaurants like Jamba Juice, Tao Yuan and Red Mango were now closed. 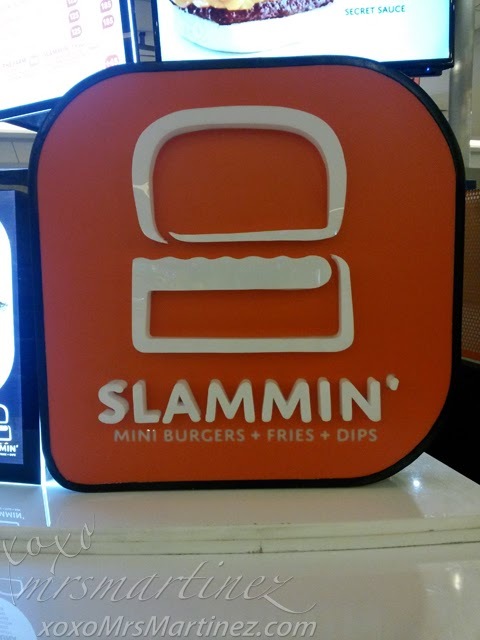 I hate to see them go ; ( But I am happy to announced that there's a new burger in town and it's called Slammin' Mini Burgers + Fries + Dips! 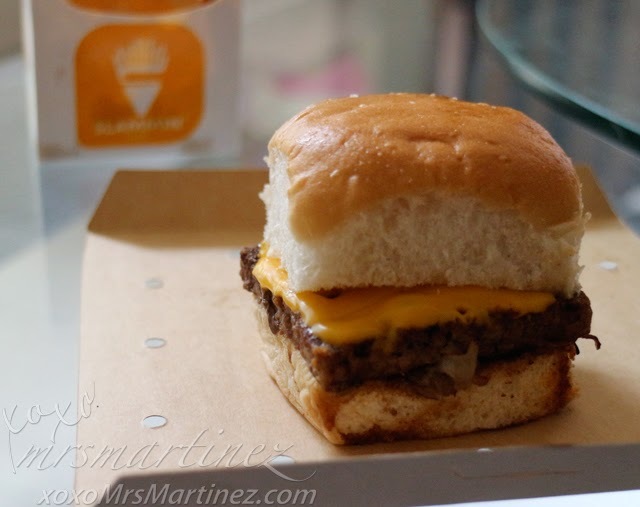 This is definitely a mouth-watering burger! Can you spell Y-U-M?! 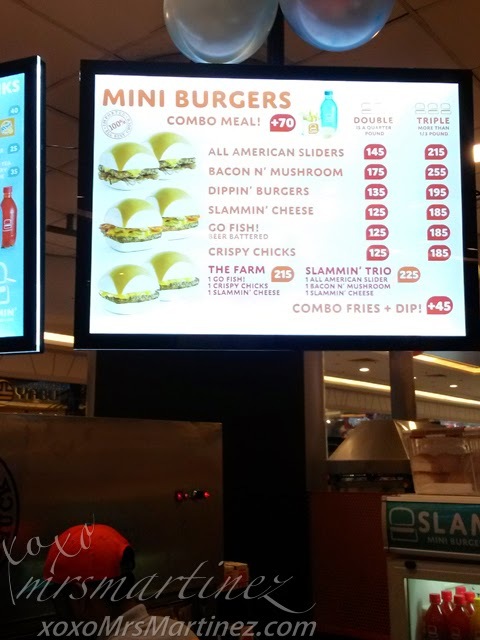 When I saw Slammin's sign near Daiso at the Basement Level, I could not resist the temptation and yes, I have to try it! Promo Alert!!! Get free fries with dip for every order of any Triple Mini Burger valid only at Robinsons Magnolia until November 30 only! 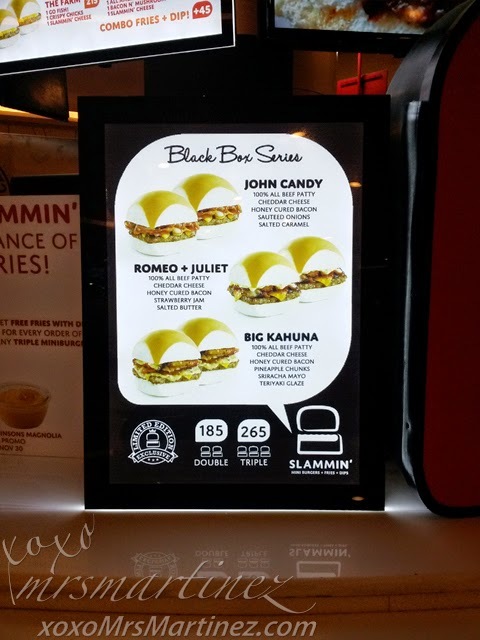 These Limited Edition Exclusive Black Box Series like John Candy, Romeo + Juliet and Big Kahuna are a must-try on my next visit! 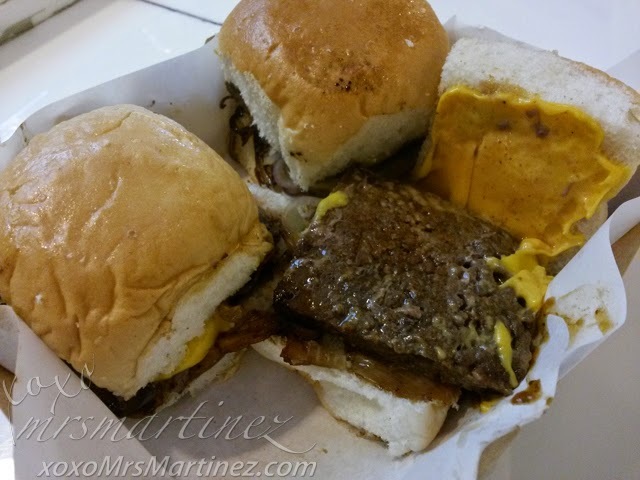 All American Sliders have sweetened onions, cheese and a total of more than 1/2 pound of burger patty sandwiched in between the buns! 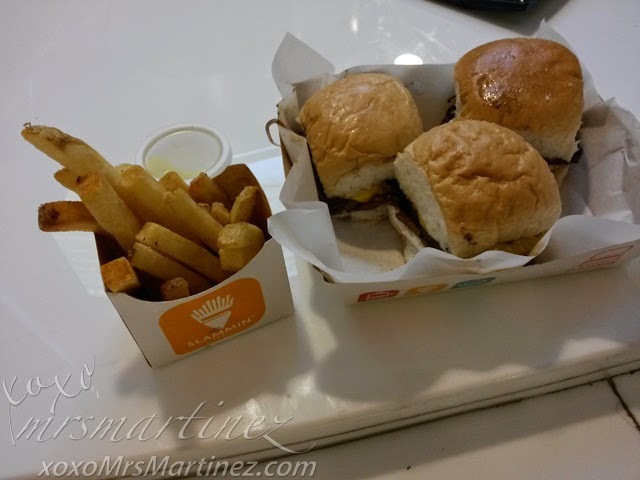 What's so special about these Slammin' Mini Burgers? 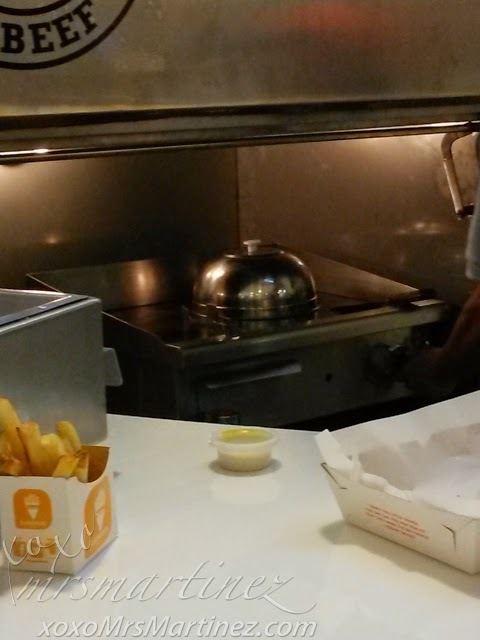 It is steamed so all the beefy goodness is trapped inside your burger. Delicious! Yey! 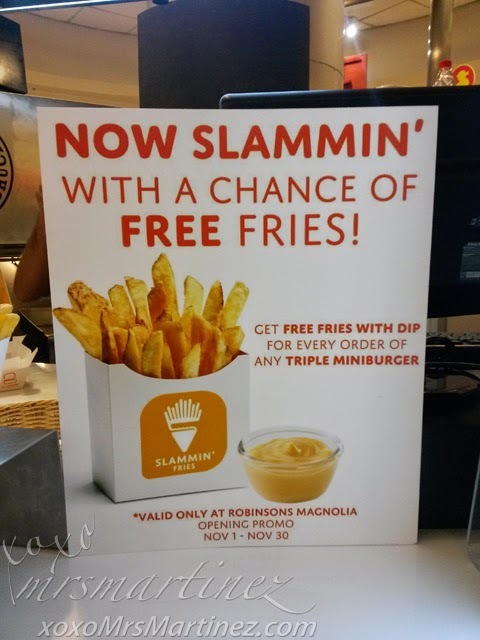 For free fries + dips!